“The Power of Positive Filmmaking” residency provides students with a creative outlet that allows them to connect to school subjects in a positive, high tech, team oriented project. Because of the many potential story-lines, there are countless outcomes for schools to choose from. During these multi-session residencies, students always learn by experience with hands-on exercises. Craig comes into your school after-school program or community setting with state of the art HD cameras, microphones and lights so the school does not need to provide any equipment. Craig Norton holds a degree in Broadcast Communications from Southern CT State University and has been in the business for over 30 years. As a freelancer, he worked on broadcast, commercial, corporate, promotional and training videos in all aspects of the production process. Craig worked at ESPN for eleven years as an Associate Director and Network Coordinator and did training for new employees in his department. In 2004, he left ESPN to teach for Arts for Learning Connecticut and practice commercial photography and film making. He specializes in documentaries about performing and visual arts. This residency provides students with a creative outlet that allows them to connect and explore school subjects in a positive, high tech, team oriented project. Because of the many potential story-lines, there are countless outcomes for schools to choose from. During these multi-session residencies, students always learn by experience with hands-on exercises. Craig brings state of the art HD cameras, microphones and lights so the school does not need to provide any equipment. This is also appropriate for “at risk” and special education classes. Professional development is also available to give teachers the skills to include video projects in classroom projects. Together with the school, we’ll set goals, expected outcomes and create specific curriculum links. A specific project will then be tailored for the students and will teach fundamentals of film making including historical context, script writing, film theory, camera features, sound and lighting. Once students have learned the basics, we explore applications with the school’s expected outcome in mind. All projects are designed to convey a positive message and students are encouraged to follow through to see that their projects have a positive affect on their audiences. The process includes script writing and storyboarding for each film idea. Students will practice film making techniques on various projects that will put students’ skills to task and allows them to complete project goals related to school curriculum. Students and Teaching Artist will review and critique the students’ work on a regular basis to guide them towards success and to learn from previous problems. This is also an excellent opportunity to practice positive communication skills and develop mentor relationships within the classroom. Students will create and explore interactive links to community and the natural environment. For students with special needs, we provide a participatory experience that utilizes video as an expressive art form, highlighting their creative skills. Work in partnership with existing curriculum to utilize video skills to enhance projects in language and visual arts, social studies, history, sciences and math. Use film making to build cultural bridges for students and their school community through themed assignments that involve observing and reporting on school life. Create a science project that involves observing and documenting the natural environment of a local ecosystem. Utilize student’s skills to create a wide variety of “positive subject” documentaries: anti-bullying, inter-generation (students interview seniors), showcasing talented students, artists, musicians, athletes, etc. Go on a field trip to give the students a chance to utilize their camera skills. The student films may be entered into teen film festivals and we will coordinate a premiere screening for the school community.  Arts for Learning Connecticut will provide various resource materials for students, teachers and staff use. We provide several digital video cameras and related equipment. A computer for editing and video projector with computer connection is requested for every class. Students and the school will receive a DVD with their students projects.